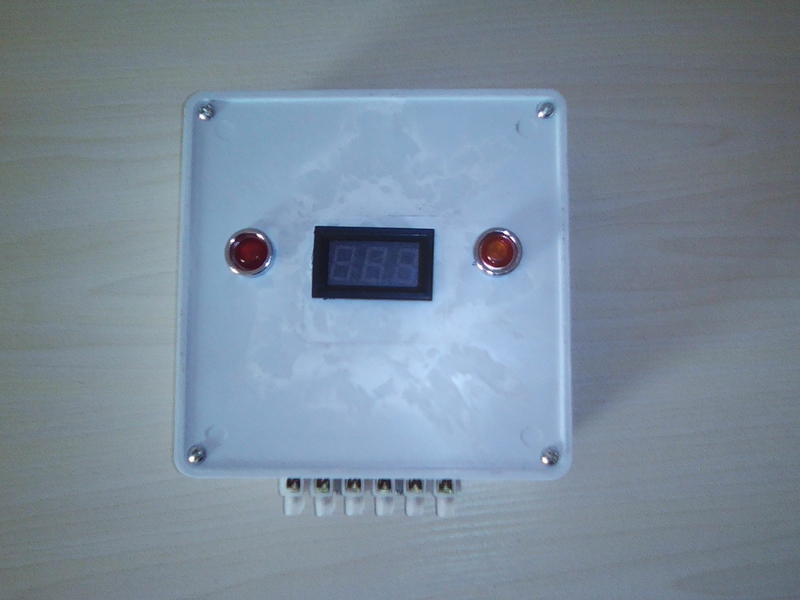 The S-HomeDev is a locally fabricated electronics device specially design for home and office smartness. S-HomeDev is composed of basic electronic and embedded systems components, Sensors network and Application softwares that work with Smart Phones and PCs'. It is developed with C-Programming Code and IoT technology. The printed circuits board is designed with KiCAD open-source software and etched with Ammonium Persulphate. It interconnects mechanical and digital devices to form a network by communicating with each other through an interactive user interface. The production is cheap, yet, smart, rugged and meets international standard design. The project comprises of different circuit blocks and all the blocks have been separately simulated and while some have already been fabricated. The S-HomeDev innovation is aimed at improving the quality of life and is geared towards providing security, energy management, water management, and a reduction in environmental emissions to over 20 million houses in Nigeria and other related countries. S-HomeDev majorly tends to proffer solutions to the various challenges faced in Nigeria and other African countries where challenges such as insecurity, environmental emission, inefficient energy optimization and water management problem abounds. A greater percentage of Nigerians/Africans also faced with a stressful life. With S-HomeDev, a greater part of their repetitive daily activities will be taken care of, thereby providing more time to relax and direct it towards other productive activities and even be alerted in case of any intruder or fire outbreak in the house. With the complete implementation of S-HomeDev, the quality of life would be improved, as well as the standard of living. The device automate home appliances and, essential utilities remotely. It helps in properties protection because property damage can disrupt life through forces of fire and lightning. Even the disabled and people living with health challenge in the society are beneficiaries of this device. Our market and research and logistics shows that sustainability of the product will greatly be influenced by how many people can afford it and availability of production materials and equipment. Averagely 53% can afford it and production materials can also be easily found in Lagos, Nigeria. Our targets customer-base for S-HomeDev are Governments, Non-Governmental Organizations (NGOs), Philanthropists, corporate bodies, estate owners and individuals, who would be implementing several housing and community projects. Averagely, S-HomeDev production cost ranges from as low as $200 to $2000 (62000 - 620000 Naira) depending on the version and power ratings and Selling cost ranges from $300 to $3000 (93000 930000 Naira). For investment of $100000, the breakeven point will be 1000 units at maximum. We shall be focusing on these three marketing stractegies: Content, Digital and Referral method to attain the break even point on time. For the future growth, most of the net income on the products sold will be re-invested to the business to have more access to raw materials which is easier and cheaper. The improve version of this products will be S-CityDev which can coordinate other installed S-HomeDevs centrally. We will solicit with Federal Government to encourage the installation in every new homes/offices and sponsor it for existing homes/offices since everyone seeks energy optimization and security. The installation of this project alone in home and offices can create job opportunities for at least 200,000 youths in the related field of study. 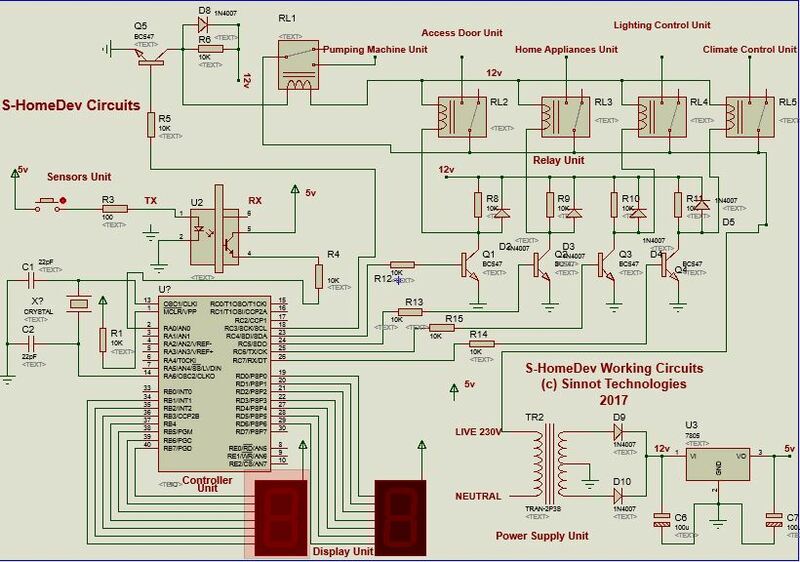 Sinnot Technologies have other home supported innovative products aside S-HomeDev and this include: Sinnot Digital Inverter, Surge Protector, Automatic Transfer Switch, Power Boosters , etc. Our training platform shall be used in raising other skilled entrepreneurs. Our researches and mentoring program shall be tailored towards personal developments, products advancements and youths empowerment. Adedokun Ayobami, 29 years, a native of Ibadan, Oyo state, Nigeria. He had a distinction grade in Ordinary National Diploma with a Second Class Upper (Hon) in Electrical Electronics Engineering at Federal Polytechnic Ede, Osun state and a Bachelor of Engineering (B.Eng) in the same discipline at the Federal University of Technology Akure, Ondo state. He is a dynamic young entrepreneur, with a penchant for innovation. Ayobami is versed in electronics design for solar inverters, embedded system and smart home innovations. He has served in various leadership positions both at the local and state level. He was a recipient of the NYSC State award in Anambra state for innovative contributions to the technical educational sector of the state. He is also a devoted Christian. He is the Chief Executive Officer of Sinnot Technologies, and is a member of several reputable bodies - Tony Elumelu Foundation Alumni, IEEE, NSE, NIEEE, ISMN, YALI and Adansonia Entrepreneur 2017. He is currently based in Akure where he runs his Masters program at the Federal University of Technology, Akure (FUTA) with his research focused on Renewable energy impacts and Communication protocols in Smart Home and Smart Cities. Hello great minds ! This is to inform you that we now have improved versions of our products based on your various comments on it. You can read it out from the products explanation. Thanks for your all time support. @ James ! I salute you sir, you have been a motivator to us in this race. Thanks for all your effort in sharing our ideas to others. I salute your passion for research and writing skills. More grace to you. @ Oluwatobi ! Thanks for this kind word. The research is ongoing to develop the product further. We will really make impact with it and release to public if sponsored and thanks once again for your advice. @ Claude ! Great is your comments. Your own project too is trending and I wish you the very best in this competition and together we will transform the world for good. This world can\'t be enjoyed so much if not for innovation advancement and one of the mover of innovation is Adedokun Ayobami, this project is awesome one out of many that we are yet to see. Keep the good works. You have blessed so many homes with your device. Am glad to be a partaker. Thumb up. Your inverter is really a help for we Nigerians that experience power failure. This wonderful innovation will bring in a drastic change into power challenges facing Africa and most especially Nigeria. As this innovation contains in it the ability to regulate and control power usage for individual. This is a commendable innovation that is highly needed in a developing economy like Nigeria.The market is vast. It will also be embraced by Government and corporate/private organizations. This idea by Sinnot technologies is great one and will further enhance the simplicity of our world if encouraged. It is important for this developer to know that the race is not to the swift but to embark on more research on S-HomeDev in order to be make it available to the community and at affordable rate. The work is a beautiful one and if properly implemented has the potential of bringing development especially in developing countries. This is a simple way by which things can be automated in homes and thus making life easier and better for citizens. He\\\'s. Good entrepreneur, he wants to use his business and solar work to help the work of Jesus Christ! The S-home Dev project is an innovative and insightful project. One that can solve the problem of powering equipments and appliances especially in developing countries. @ Oladejo ! Thanks for your comment and I am so glad we can both seen from the same perspective. This is a project that will benefit every one if fully developed and implemented. Thanks for your encouragement. I have full confidence in the contestant. He has the capacity to consolidate his technological achievement. He believes in technology for self reliance. And so I support him for this competition. @ Jara! I am motivated by your zeal since all this while. You have really maintain your 3rd position by voting and factor in this competition. You are really doing great and wishing you the very best on your project. Your project is a great one that shows the creativity and problem solving skills of the designer. More grease to your elbow sir! @ Matthew and Team Green place ! Thanks for your encouragement all the time on my project and other competitors. You have shown that you are outstanding entrepreneurs. This is a very good project, that gives accurate monitoring and control, this can also prevent a lot of hazards both at home and in offices, Ayobami keep he flag flying. @ Team Green Space ! Thanks for your kind comments and encouragement on the project. I like your entrepreneurs finishing strength. You are also doing great and wishing you the very best. what a unique project from a young innovator and motivator. this project is an intelligence that improve life security (surveillance) without stress. this project suppose to captivate the heart Nigerian youth who are busy with unnecessary activities. Mr Ayo Adedokun, I wish you the best in this competition. co-founder of MyYearbook.You had a dream on helping people then you took further steps, there some more steps further but I hope will achieve them all, good mentality, hard working plans and actions will take this project higher.Congratulation for being innovative. Hello from Madagascar! I am overjoyed with the success of your project "S home Dev". Shine on! You have done remarkably well at such a young age. My best wishes. As your project is very viable and will go a long way to create massive employment opportunities; what have been the challenges you have faced so far in your project? Once again am reading this wonderful project of yours,may be for us to have the imagination of extension speed, how long it may take for it to cover the whole Country if you have full support from the government.. I would suggest you to register this device in the international market and find to connected with Global energy optimization initiatives as it is one way of saving the scarce resource and environmental conservation. The World was waiting some young people like you. @Adeniran ! Thanks for your motivating comment on energy optimization of the project. We discover that majority of light generated are being wasted because of lack of energy optimization. And this problem is now taking care of by S-HomeDev. Thanks once again and we are committed to technology advancement. Nigeria's Power sector is seriously underdeveloped, there is need for private power companies to complement Government efforts, most especially the indigenous companies. I greatly support the idea of the solar technology innovation Sinnot Technology is bringing at this time of electricity supply inadequacy in Nigeria. @ Koofi ! Your idea on edu-cell is also trending and I want to encourage you to keep up the good works. I cherish your entrepreneur spirit on the platform. Thanks for your motivating comment. @ Jide, thanks for your motivating comment. Nigeria is bless with talents and praying for right government that will maxize the great resources in the nation. I am encourage by your comment and God bless you and kinds regards. @ Seth ! I am also impressed by your progress too in this competition. You are doing great sincerely and I see your project in the final of the idea session. Keep it up and wishing you the very best here. @ Anita ! Thanks for all your kind words and i am proud to let you know that you are also doing great at your idea side and I am confident of your success. Together we will make our continent great again. Dalu ! @ Aaron ! Thanks for your kind word! I am praying so that the project will be given chance to implement it. We are committed in advancing our course no matter what it take us. Thanks for your encouragement. @ Uledi ! Thanks for your kind words, I believe in your project too that ZERO HUNGER IS POSSIBLE, great is your entrepreneur spirit on this platform. Just keep it up and be very courageous in impacting your world. @ Dr AdeOluwa ! Thanks for your comment sir on this project. You have been a source of inspiration to all of us and we are committed to remain focus as we follow your foot part of greatness ! Thanks for your support so far ! 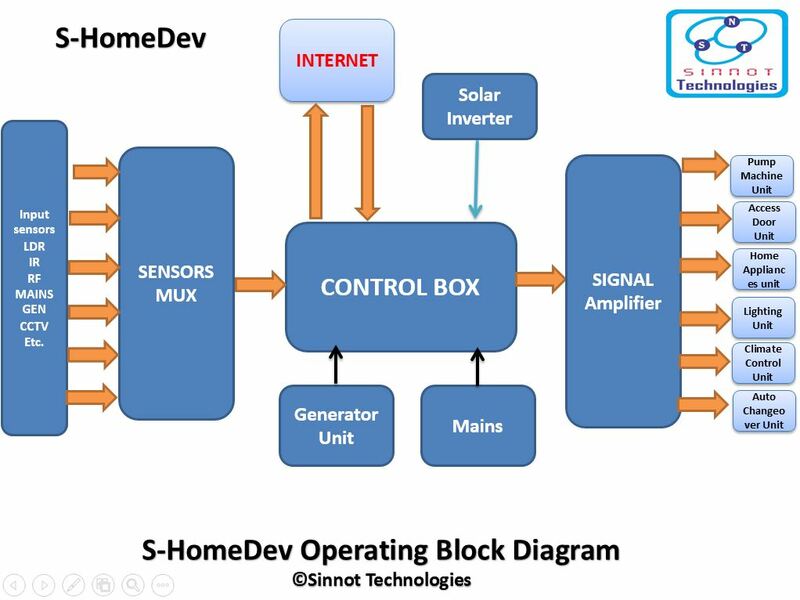 S-HomeDev from Sinnot Technologies is a good innovation that can help drive Africa homes with a portable and best technological innovation designed in Africa for Africans. Good work @ Sinnot Technologies. Hi Ayo, you've had a track record of innovation from your undergraduate days at FUTA. It's good to see that you have kept the flag flying. Don't relent, don't stop! Your horizon is limitless! Many blessings. You have a very nice system enhancing project at hand and i look forward that you will be giving the opportunity to translate them into mass production. I admire your technical knowledge. Everytime I come back to this project, I learn a lot, your project is life changing as it will bring positive impact towards environmental conservation and security in general. Congulatulation for the efforts and good progress you have just shown. Thanks for responding to my questions and yes now it's quite clear that you are doing a number of products. Congratulations for the great project and i can tell you making significant strides in achievements credible milestones. Wishing you great success and build more entrepreneurs like you :-)! Great innovation. This will go a long way in encouraging other youths allmiver the world. Best wishes. I like this. Congratulations to the organizers. Wishing this activity is not just once and for all thing. Ayobami Adedokun\'s project is very innovation and problem-solving especially for Nigeria. Solar penetration is quite low in Nigeria even though the country has low grid supply. Sinnot technology is doing such wonderful job. Since the foundation of S-HomeDev in 2014, which strategy are you using/intend to use to expand the business? in case it has already making profit, how soon did it start making net profits from the time you started generating revenues? @ Abdisa ! Nice seeing your comment here and thanks for your best wishes. Glad for your acceptance to work together and also wishing you the very best of God on your project. As the world goes digital by the day, this kind of project is of utmost importance for our societal growth. I really admire you guy! It's such good start for such a visionary mind like yours. This project is real helpful and Can help to secure life of people. I suggest that after expansion of your project,You join international security partners because your project can be implemented in different Countries. Congulatulation for this project which will stay from generation to generation. @ Aloddy ! Creativity and Innovation still trending in us and you have also been a great encourager to us and your own passion in the electronics design is also motivating. Sky is your starting point and keep the vision alive. @ Olajide ! Thanks for this wonderful comment on the project impact on climate change. The project will definitely encourage renewable energy and which reduces environmental pollution from fossils fuels as much as possible. Thanks for your motivating comments. ( sinnot technologies ). Your best is yet to come and the Sky's just ur starting point. Continue to soar Higher on ur daily basis. Passionate Engineer,innovative and dynamic.You are one of those guys that motivate me back then in university days.I believe in you...Reach for the top.Success!!! I am glad to hear that. I want to invite you also to comment my idea Path To Knowledge, I would really like to hear your advice. Climate change and sustainability has been a major topic amongst world leaders and youths seeking to make their country better than it currently is. This project is an innovative one especially for developing countries like Nigeria and its one step towards creating sustainable energy use. When an innovation is great, we should be able to recognize it so and acknowledge it as such. This Idev Technology innovation is one of the best one can have around. Especially in a country like Nigeria. Even Other developing Countries will benefit from its invention. I simply love the idea behind it. I pray its done soon enough. Can't wait to see it out!!! @ Uledi ! Thanks for your motivating comment. We will definitely connect with security personnel and since the security aspect of the project really focus on the house. The owner of the house can be at rest of mind that the his or her is secure even when not around or at work. The system will alert the owner of the house in case of any intruder. Thanks once again ! We are committed to improve on the project. I like your project and I congratulate you for making this invention! Keep continue with this project and help people through this innovation. Good luck! This is real innovation Congulatulation for the good and innovative idea you have just come with.I salute and Support your project. I suggest to connect with some of the security warning systems in your country to maximize its effinieny and trust. Ayobami Adedokun is brilliant Nigerian who has help a lot of people to develop their skills in electronic engineering, I admire your innovation and am expecting more. Good work. @ Yoke ! The Water Managing aspect of S-HomeDev is test the PH content and likewise the conductivity contents on the water. Before pumping the water into reservoir , it check the water content level and in case of any danger in the water it gives RED light warning indicator or when the water is not purified to some satisfactory level. Every of this process is automated. @ Olukolade ! Thanks for following the trend of our innovation. You have also been a source of encouragement to us and we promise to remains focus in our Innovations and in rendering unbeatable services. @ Rivera ! Thanks for your comments ! And I had check your project on E- taxi and this is making the transportation easier. Thanks for your motivating comments on our projects. Thanks for commenting on the GWASH idea. May I find out more about your project? What are you doing in terms of water management? Good day, Ayobami. Thank you for reading through my Idea, AfricEnergy. Going through your S-Home-Dev, shows a very viable and good work. Keep it up! I wish you more successes. We look forward to potential partnership with you in the nearest future. Cheers. I believe in his project and whatvits able to accomplish. I hereby give my total support alongside others to make this project a success and the most preferred. Your idea seem great and I wish you the best with it. I like the passion you're putting in making things work and I want to encourage you to keep it up. Wow! Great innovation. The very fact that this innovation has a plan for future sustainability is a great quality to reference. This is a project that will definitely answer so many challenges in our economy. @ Sijuade ! Glad seeing women being motivated by our innovation. We are committed to give the best to it and S-HomeDev will greatly reduced stress faced by women and help them to live a convenient life. Thanks for your motivating comment. @ Freedom ! Nice commenting here about the project. S-HomeDev also covers clean energy technology and reduces environmental emmision as much as possible. Thanks for your comment. @ Emmanuel ! The disable also deserve the best in our societies. Thanks for being an advocate to technology that make life easier for the disable. And I salute your passion in electronic design and just keep it up and be creative. @ Amos ! Thanks for your motivating comments and it is true that I am passionate about electronics design and this birth the innovation. I still have more things to learn and am also committed to learning. Thanks once again. This Man's Project is the best and taking technology to the new phase of Perfection and Excellence. keeping the good work up and make more research on how to make the world a better place. Your project is the best and you're the best among your contemporaries. @ Sunday ! The innovation is indeed the technology design in Africa for Africans and other continents where S-HomeDev can be in use and benefit the masses. We are committed to make the continent great again. Thanks for your motivating comment. @ Odey ! Thanks for commenting here and for your support for our innovation. Your Idea on the drinks too is very good and eagerly waiting to see your product out soon and circulated worldwide like coca cola. Thanks for successful comments. @ Isaac ! We strongly agree with you that more innovation are still coming. We are keeping our focus in advancing pure wisdom in technology. Thanks for your motivating comment. @ Crownie ! Yes its an amazing project and it will really benefit the massive and give us the clean environments we desire. Thanks for your motivating comments. First Retreat, then Restrategize before you Relaunch the project/idea and this will keep you consistent and not burn out quickly in business. And one of the best way to reach optimum level in your dream is to be consistent in the process that is making the business working and create more valuable content and daily evaluation of the system that you put in place. Think about it! Wow! This is amazing! Having a Nigerian coming up with such an innovation as S- HomeDev is mind blowing. I've always known Bro. Adedokun Ayobami (Sinnot) as an innovative electronic engineer. This initiative would be of immense benefit to Africa and even the world over by His grace. I celebrate you Sir. Keep being a world changer. Wonderful innovation at Sinnot Technologies. S-HomeDev is a wonderful idea. We can also look into the area of clean energy to help our environment. This a very great project sir, bringing advance technology like this to Africa to help people who are disable is very inspiring sir. Thanks a lot sir and I wish u success bro. Adedokun Ayobami 's innovative lifestyle had inspired some of us close to him, to go back and retrace our love and passion for entrepreneurship ideas and innovation. May God help you in your endeavors. This is a nice one Sinnot. The world is thinking green energy and that's what this project is really trying to promote. More so, the fact that it automates everything in the home is such an amazing technology.In fact most of the components used to fabricate it is locally made. In fact this is proudly Nigerian. Thanks Sinnot for this great innovation. Security will be great with this project, without much cost. Even Household use will be great ease with this technology. This is a great project that would realise great benefits for everyone in Nigeria and Africa as a continent. Thank your for sharing this with the world. We are grateful for your thoughtfulness. The world need this idea out,,,, keep pushing in this paste then the sky will be for u a starting point. @ Akinloye ! Thanks for the motivations most especially on insecurity solutions. When people are leaving with peace of mind they will be more productive and live long. This is an innovation that shows the great minds that Nigerian had, I must commend your hard-work and dedication to creativity. This project will motivate more from that banks of ideas you have. Good work. The project is a good one, I believe more is still coming to make this world a great place to be. Your idea is awesome and i want you to stay focus and getting even more ideas. Wow,I'm so happy to see a Nigerian like me doing something so innovative, I've always said that we've got some damn skills upstairs, we just didn't take the time to unleash it. Bravo! Ayobami, I admire your creativity and the insight you have. Sinnot technology is an encouraging innovation for the youths. Keep it up and God bless you abundantly. It's pretty exciting and challenging seeing your penchant for breaking grounds technology-wise, grow bigger each and every other year. Zuckerberg, Gates, Philip EmeagwAli, whom we celebrate as icon started in no different way from how you did. Albeit, I can only charge you to continually remain dogged, against all odds. May God extend His arm to raise you to life's Zenith. Amen. Nice work! it gives stress free because going up and down for power change over is strenuous at times. I believe this is making our continent part (Africa) to grow in technology. Most especially in the area of power supply that we face the major challenges. keep it up! I truly believe in this innovative project. I appreciate it's outstanding design and build. It's a great one especially in a country like Nigeria where such is highly needed. Keep up the good work! @ Samuel... Thanks for your comment on our circuit design. That's just basic circuit design for the projects. There are still much more to improve on the circuits. The feedback on the usage on the products will give us where to work on and where to improve on. We are committed to learning and development. School never ends classroom is everywhere. Thanks for the circuit design analysis. @ Rotimi ! Surely it will bring development to our communities and nations. Knowing fully that technology is the bedrock of development of any nation. Thanks for your comments and insight ! Thanks for your motivating comment and amazing support for us on this project. It's good to have a like-minds like you. We are determine to make impact together in this generation and nothing shall be impossible for us to achieve together. You are also a source of motivation to us. It's an amazing to see young brilliant Nigerian Youth like you take up the responsibility of ensuring a clean safe and secure society by building environmentally friendly appliances. This is amazing and im proud of you. This a great innovation, thumps up sir, it\'s gonna save us all stress of moving around the home. We can easily control everything from One place in our home. Smart home innovations is a well deserved research that really should be funded. Please let's all support him. I believe in this participant ability in making amazing discoveries out of technology. He has the technical knowhow and wherewithal to bring development to his locality and nations at large. The global reality for the need for more environmental friendly appliance and also the need to ensure security. @ Fadele thanks for exposing me to SDG goal 9. I actually focus the project on SDG goal 7. I believe all the goals are interrelated. S-HomeDev will definitely be at every home soon. Thanks for your comment. @ Fapohunda ! Thanks for your thoughtful question. 1) The device have central control system in which all appliance is connected and it have friendly user interface in that make the control easier. At the same time it take charge your repetitive activities and make decision for you. 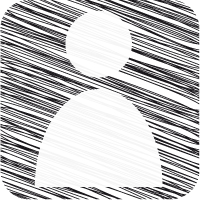 The decision can be readjusted or interuppted by the authorized users. @ Tobi ! Thanks for your comment ! Its encouraging and all inspiration and knowledge come from Creator. Our technology will deliver and we are determined to make it world known. I know you will order for one when its available in the market. Thanks once again. @ Aanu Rotimi ! Thanks for your motivating comment. The disable also deserve the best of life. We must make life easy for them so that they can life long and fulfil their own purpose in life. We are committed to this innovation even beyond here and aside competition it is what you watch out for in markets soon. Thanks for your support. @ Dozie ! Using local content to produce it promote African technology. Aside it make it more cheaper and affordable by every house owner. Thanks for your comment. @ Matthew ! I am in total agreement with you that the project will boost the nation economy. Looking at this from this angle, when people are at their best (I.e. not stressed out) they perform optimally and increase productivity. When people are motivated to work surely the nations economy outputs will be affected positively. Thanks for your comment. At Oyediran ! Thanks for your motivating comments. We are committed to advance our knowledge in making it to be at optimal performance and acceptable to the market. Seeing the projects at intercontinent level. This is a very innovative idea, I trust it would scale through to achieve its purpose in Nigeria. I fully support it. Our country indeed needs such creativity, a lot will be tackled by this idea. I have known the CEO of sinnot technology for over three years. He has done a lot of project that I have seen. I have also used some of there products. He's passionate about technology and he's making all efforts to accomplish his goal. I therefore recommend him to be supported in this competition. There's no other time for an innovation that it's thinking of how preserve the earth. Two things that strike my attention is the usefulness to the very group of people who are most often forgotten... people living with disability. They also deserve access to quality life. Secondly, how this can be used in reducing wastage and improve efficiency in water and other utility management. A nice project. Good for domestic and office use. The local content is the most encouraging thing about it. The creator of this project did his NYSC in my state Anambra state and he did some electronics traininhs for students as part of his community development service. God must reward him. The project is needed at this right time of our generation. It is waooooh!. I believe with more support, you will improve our nation economy with your innovative idea. Keep it up man! I so much have trust in this project not only because of problems the project will be solving, but also because of the CEO himself, he is trust worthy and always wanting to solve world problems. S-HomeDev is a project set to improve standard of living of people and the innovation take a simple approach to construct and with friendly user interface. However it will be a welcome idea most especially in Nigeria where energy optimization is needed and security challenges is also tackle by the project. Let us support local content technology .